The studies in this PLOS ONE collection investigated the feasibility of community participation in Measuring, Reporting and Verifying (Participatory MRVPMRV) initiatives in the context of national programs to reduce emissions from deforestation and forest degradation (REDD+). While such participation is desirable, its feasibility has been uncertain. This collection builds the empirical foundations for putting PMRV into practice. 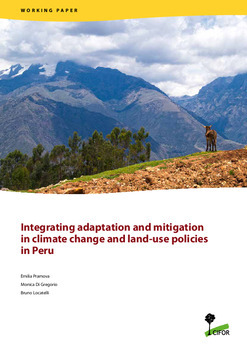 The authors of this article identified five crucial considerations: (1) clarify the stakeholders, (2) understand their motivation to participate, (3) integrate knowledge and information from multiple disciplines and sources, (4) convey knowledge and information across multiple levels of governance, and (5) clarify and enable the links to REDD+ safeguards. We conclude that local communities and other local actors can play a major role in achieving REDD+ MRV, however, this requires attention to their needs and motivations. Future activities should include assessment of past PMRV experiences, costs and benefits, operationalization of reporting and verification, formalization of PMRV and full scale testing on the ground.